CENTENNIAL, Colo.—(BUSINESS WIRE)—Westwater Resources, Inc. (“Westwater,” or the “Company”) (Nasdaq: WWR), an energy materials development company, today announced that the International Centre for Settlement of Investment Disputes (ICSID) has registered its Request for Arbitration. The registration is the next step in Westwater seeking compensation from the Republic of Turkey. At issue is Turkey’s illegal taking of Westwater’s Temrezli and Şefaatli uranium projects in June 2018. These projects were owned by Westwater’s Turkish subsidiary Adur Madencilik Limited Sirketi (“Adur”). 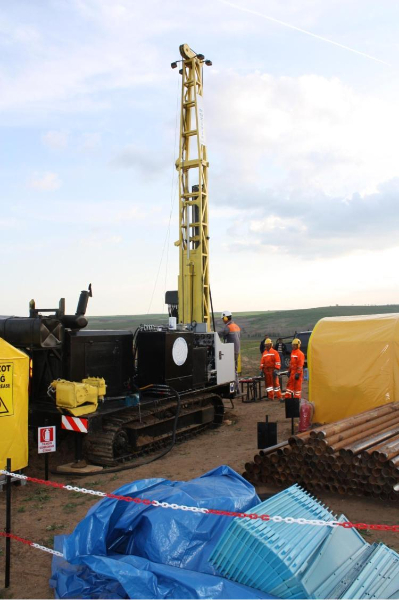 To date, Adur and its predecessors have invested substantially in these two projects, using its technical expertise and carrying out extensive drilling, testing and studies to move the projects towards production. Having successfully completed the exploration stage in 2013-2014, Adur was granted a number of operating licenses by the Turkish government to develop the Temrezli mine. As a direct result of Adur’s efforts, Temrezli is the most advanced uranium project in Turkey. Experts have estimated that the mine will generate revenues of up to USD 644 million over its life, netting Westwater a return on its investment of USD 267 million as described in the Prefeasibility Study completed for the Temrezli project in 2014. In June 2018, the Turkish government cancelled all of Adur’s exploration and operating licenses with retroactive effect, rendering Westwater’s investment in Adur effectively worthless. Incredibly, the Turkish government sought to justify its actions on the basis that the licenses – which had been variously issued, renewed and overseen by the Turkish government for more than a decade – had been issued by mistake. Turkey now asserts that it has a governmental monopoly over all uranium mining activities in Turkey, in violation of Westwater’s rights under Turkish and international law, including the Treaty between the United States of America and the Republic of Turkey concerning the Reciprocal Encouragement and Protection of Investments (“Treaty”). Westwater is bringing this claim under the Treaty to enforce its right to full reparation for the damage caused by Turkey’s illegal acts. WWR is focused on developing energy-related materials. The Company’s battery-materials projects include the Coosa Graphite Project – the most advanced natural flake graphite project in the contiguous United States – and the associated Coosa Graphite Mine located across 41,900 acres ( 17,000 hectares) in east-central Alabama. In addition, the Company maintains lithium mineral properties in three prospective lithium brine basins in Nevada and Utah. Westwater’s uranium projects are located in Texas and New Mexico. In Texas, the Company has two licensed and currently idled uranium processing facilities and approximately 11,000 acres ( 4,400 hectares) of prospective in-situ recovery uranium projects. In New Mexico, the Company controls mineral rights encompassing approximately 188,700 acres ( 76,000 hectares) in the prolific Grants Mineral Belt, which is one of the largest concentrations of sandstone-hosted uranium deposits in the world. Incorporated in 1977 as Uranium Resources, Inc., Westwater also owns an extensive uranium information database of historic drill hole logs, assay certificates, maps and technical reports for the western United States. For more information, visit www.westwaterresources.net.